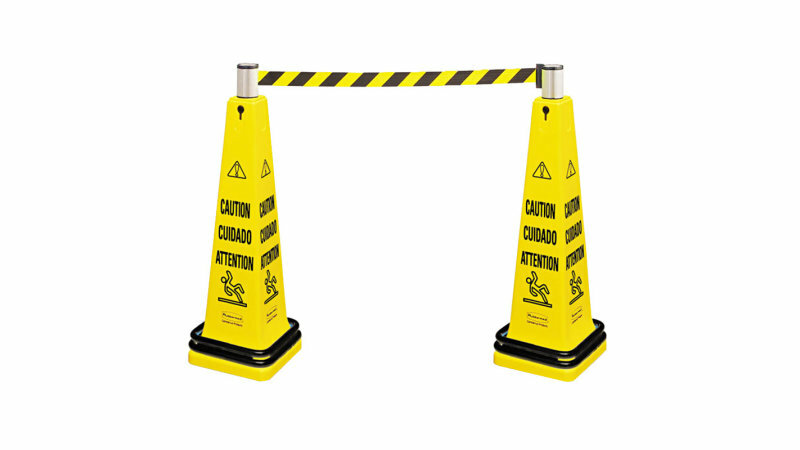 Barricade system is a complete, expandable system for quick deployment and effective multilingual safety communication. ANSI/OSHA- compliant color and graphics. 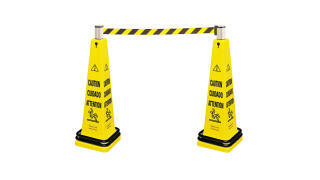 The Rubbermaid Commercial Cone Barricade System is a complete, expandable system for quick deployment. It includes: One 36" 4-sided Safety Cone, one steel Double Weight Ring, and one belt cassette. System can be expanded with additional Barricade Systems. ANSI/OSHA-compliant color and graphics.